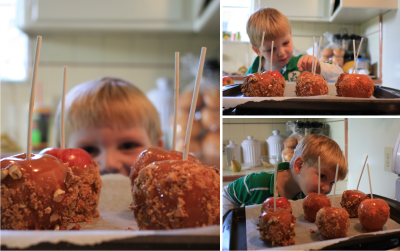 Making caramel apples proved to be both easier and trickier than I'd thought (it's my first time, you see). Reagan's favorite job was smashing the chocolate bars (no, I'm not surprised). But apparently there's a bit of an art to rolling the caramel-oozing apple in the topping with just the right amount of force and speed to ensure a nice sticky coating without having the caramel ooze off the apple completely or having the topping refuse to stick (likely it just takes practice - and honestly, I wouldn't mind putting in the time - chuckle. 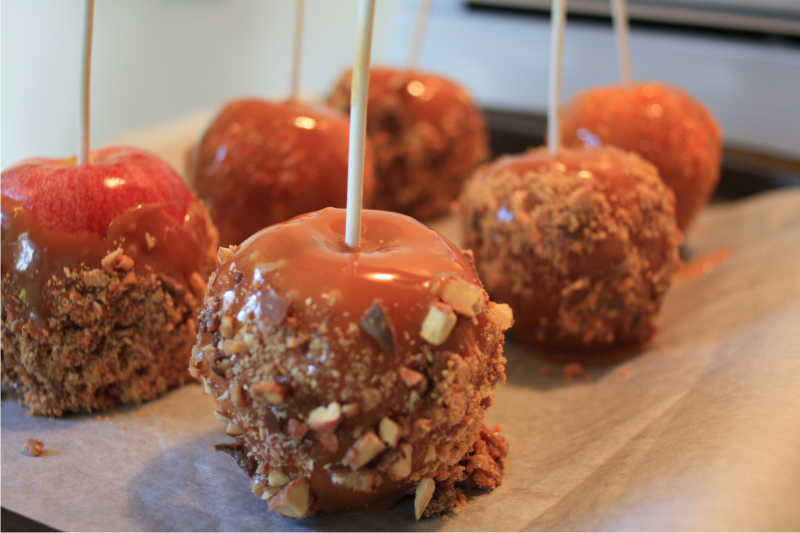 I still have chocolate and candy apples to add to my repertoire). Either way, this was such a fun afternoon and we can hardly summon the patience to wait until the apples cool and harden in the fridge. Wahoo.